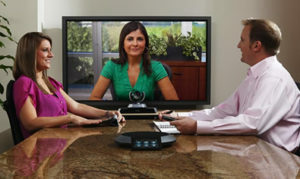 Save time and money through video conferencing! 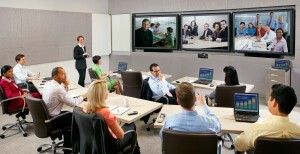 Feedback from large corporates and SMEs around the globe confirms that investing in video conferencing reduces the overall cost of your regional teams/offices collaborating on different projects.You can cut in half the expenditure related directly to travel expenses as well as work time spent travelling. Video conferencing is a convenient and cost-effective way of bringing all your employees together when a meeting is required. It’s like a phone call but with the high quality voice and addition of crystal clear picture of the person you are talking to. We engage with you in a quotation process where we agree on what type, size and brand of the LCD TV you’d like to use in your conferencing set-up, collaborate on the cameral and microphone position and install all of the equipment. How would it feel to start all of the equipment in your meeting room with just a touch of a button? Sounds awesome? It’s possible and we can bring the experience to you at a price point that makes it even better! Room control technology allows you to start your projector and lower the electric screen the minute you switch the lights on in the room. It makes preparing for a meeting this little bit less of a hassle, when you don’t have to search for the remotes and wonder when the ‘ON’ button is. 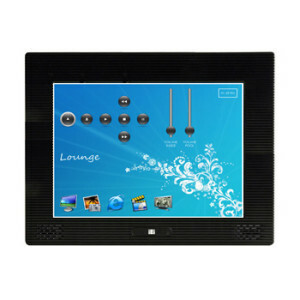 Room Control System is a programmable panel that we fit on a wall in your meeting room. We ‘teach’ the panel to perform certain tasks connected with starting up the equipment when you press assigned buttons. 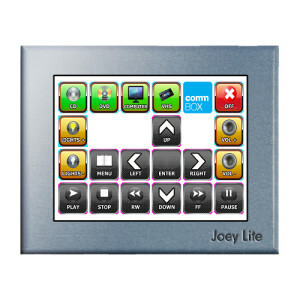 We engage with you in a quotation process where we agree on what and how many rooms you’d like the Room Control System to be installed in, which equipment and in what sequence you’d like it to control and we do all the work.